Often, the best way to promote your company's offerings is with a video. Video is fluid, dynamic, and exciting. Video is pervasive, and persuasive. Take a look at our portfolio for examples. 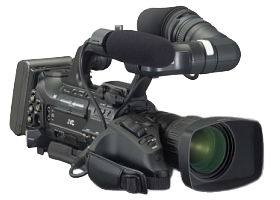 Using the latest fully digital HD cameras, we provide a completely tapeless workflow for quality, speed, and reliability. Video production doesn't have to be expensive or difficult. Let CONVEY: put the elements together for you. CONVEY: can create a complete, custom-built web site, appropriate for your budget and tailored to your requirements. From simple pages describing your company and providing contact information, to complex sites complete with shopping carts, user support areas, chat, and dozens of email accounts. Our innovative content-management system, Affinity Portal Manager ("APM") is available for clients requiring strong interactive features such as profiles, discussion groups, private messaging, photo galleries, article publishing, social networking, and more! We can work from your existing artwork, photos, and literature, or apply our graphic design and writing skills to create an original site that matches your company image. Check out our portfolio. CONVEY: has years of interactive web application development experience. Need a custom utility? A specialized point-of-sale calculator? A new way to view your database? CONVEY: can tailor a web-based program that will improve your productivity without breaking your budget, with an interface that is specialized to fit the task exactly. Embarking on a large development project? Don't forget user-friendly documentation. CONVEY: has created extensive, easy-to-follow user manuals and instructional materials for a variety of clients. Let us apply our writing abilities to enhance your project and improve the user's experience. You'll be surprised how affordable digital media production can be.